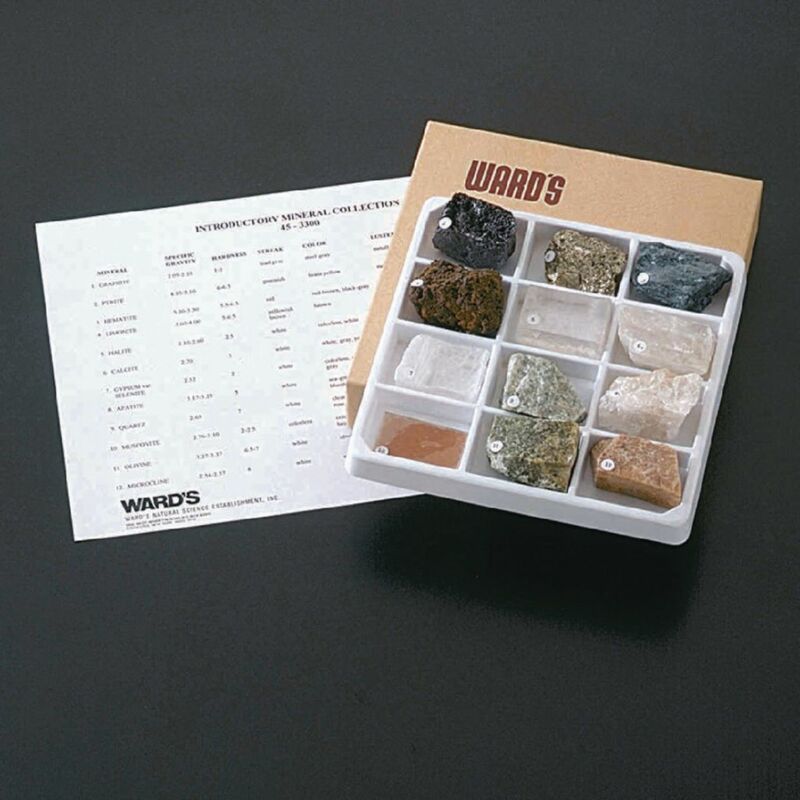 Color, hardness, luster, cleavage, streak, common habit, and specific gravity are all represented in one compact, economical set of 12 minerals. 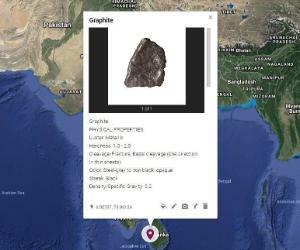 Beginning geology students will easily recognize each of the wide range of physical properties when they examine the basic minerals. The set is housed in a compartmented collection box, and an identification list is included.